The last fifteen years have produced an explosion of research on the neurobiology of attachment. This research, which explores the ways in which affect regulation play key roles in determining the structure and function of the developing brain and mind, has led to a revolution in the way that parent-child relationships are viewed. Although these insights have informed psychiatry as well as cognitive and psychoanalytic psychology, their application to social work practice, education, and research has been lacking. Here for the first time ever, social work educators Jeffrey Applegate and Janet Shapiro demystify neurobiology and present it anew with the social work audience specifically in mind. Social workers, by virtue of their work with at-risk children and families, occupy a unique position from which to employ this new research in prevention and intervention. 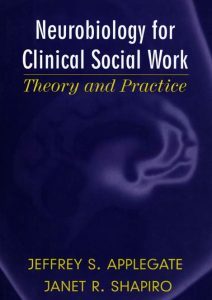 This lack of education about neurobiology has unfortunately fostered misconceptions among social workers that these theories are too academic and thus irrelevant to clinical practice. 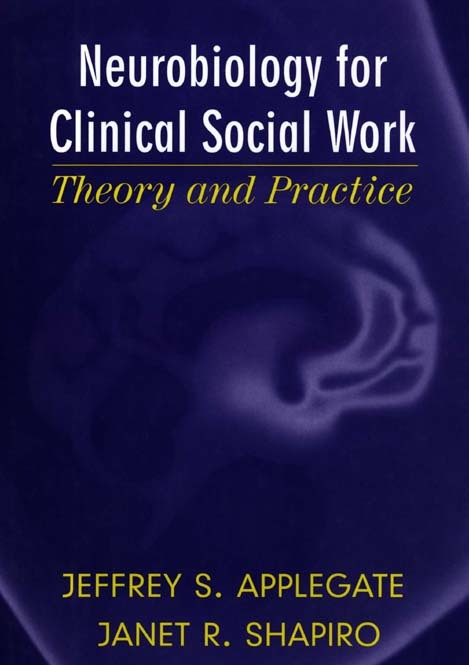 Neurobiology for Clinical Social Work corrects this misconception and introduces social workers to the powerful and practical ideas that are coming out of neurobiological research. The research summarized here offers new insights about the crucial role that relationships play in human development and in professional helping efforts. To set the stage for this inquiry, the authors introduce fundamentals of brain structure, development, and functioning in the first parts of the book.